Players have learned of the Pantheon plenty over the course of World of Warcraft. They’re the group of Titans who made it their business to travel the universe shaping worlds with World Souls, helping birth new Titans. At times, they also just meddled with planets because their natural sense of order demanded it. For example, Aggramar’s actions on ancient Draenor, a world that did not have a World Soul. Thanks to his meddling, the living mountain Grond eventually created a lineage of stone-born races that included the Ogres and Orcs — which thus Orcs can be said to be Titan in origin. But what else is? Are there other worlds with Titan-created beings out there? Are there other worlds with Titans wholly unrelated to the Pantheon? Thanks to the Burning Crusade of Sargeras, many worlds in the Great Dark Beyond burned, and many lives were destroyed in the process. Still, other worlds were corrupted by the Old Gods — one of those infested planets also bore a World Soul. This led to Sargeras’ first act of dissent against the Pantheon — destroying it, killing a Titan in the womb. Over many, many eons, the Burning Legion waged an unholy war across existence and countless worlds burned, while countless more were scoured by the Titans. But infinity is by necessity an astonishingly large place. 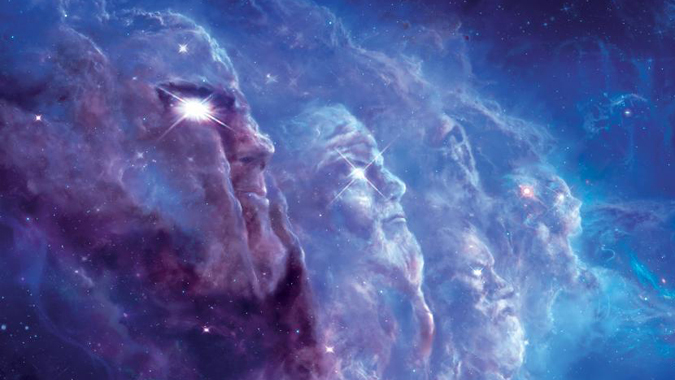 We don’t know the origins of the Titans — we know that worlds form around cosmically vast eddies of arcane power and also that those worlds eventually give birth to a Titan, although we don’t know how. Sargeras and the Legion were fixated on Azeroth for this very reason. But the Legion was invading several other worlds at the exact same moment they were invading Azeroth. Did any of those worlds host a World Soul? Does any world in the Great Dark have one? 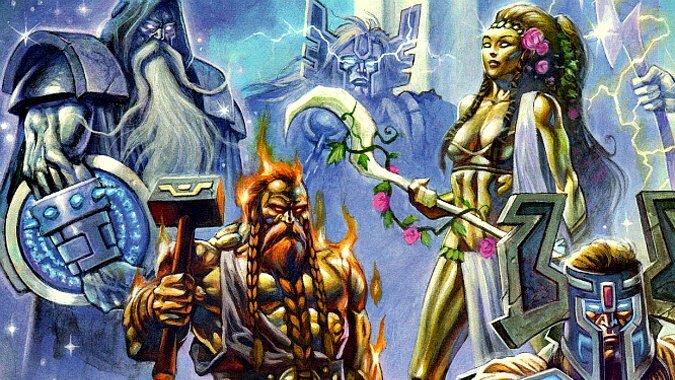 Back in Legion, we saw worlds such as Aurinor, Bonich, Cen’gar, Nagital, Sangua, and Val — but only small parts of those worlds. Some had lush forests or swamps, others had extreme vulcanism or glacial conditions, one even seemed to be a series of floating islands over clouds — but several of them had life of one kind or another. It’s as hard to judge those worlds from our limited exposure to them as it would be to judge Azeroth by a trip to the Twilight Highlands or Draenor because you visited the Zangar Sea. But just knowing those worlds existed and were in the process of invasion by the Legion implies that they had a reason to invade them. Sargeras originally started his crusade because he discovered an Old God-infested world that would have become a Void Titan had it successfully awoken. 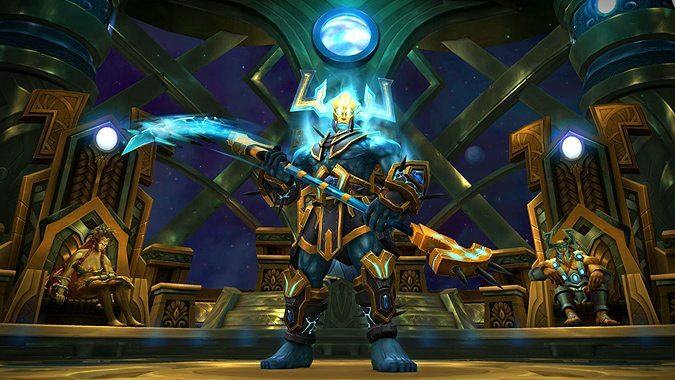 The Legion he created and which has only recently been deprived of all its leaders was concerned with destroying worlds because Sargeras believed that was the only way to prevent another Void Titan. In other words, each of those worlds the Legion was invading might well have had a World Soul. And since we destroyed the portal network and prevented each of those worlds from being under Legion assault, likely could still have a World Soul. Moreover, despite the Legion’s boasting about how many worlds they’ve destroyed, the implication is that there are many, many more worlds out there still waiting. Worlds still incubating the nascent Titans within them. Waiting for the incalculably powerful beings within them to rise up into full life and power — a process we still have never actually seen happen. 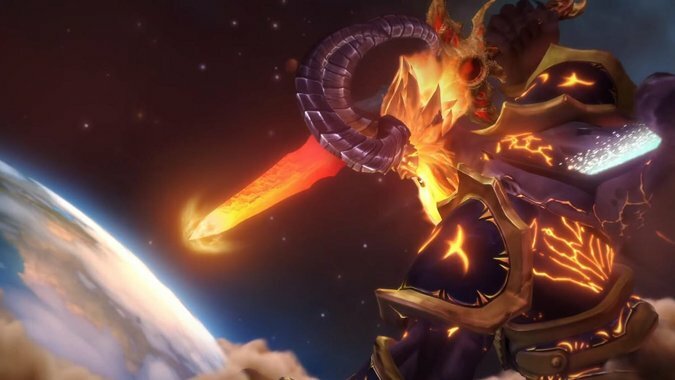 We’ve seen art of Sargeras destroying a world, and we’ve heard reports of Aman’Thul reaching his colossal hand down and plucking Y’Shaarj with two fingers. So it’s entirely possible that when the Titan awakens, the entire planet reshapes itself to form a body for it. What would this mean for Azeroth? Imagine if instead of living on a presumable globe, Azeroth became a colossal woman and all the works of mortal races on her surface were simply carried along for the ride. Is that what happens? We don’t know. The world of Aurinor appeared to be floating islands covered in plant life with no animals present drifting in the atmosphere, so perhaps when a Titan comes to its full power it cracks the planet it resides in open like an egg. But the few depictions we have of the Titans certainly portray them originally as being planet sized, so it’s at least feasible to consider they may well retain the planet they incubated within as their body as they mature. As terrifying as the idea of every single one of us eventually being carried around like mites on the skin of an entity the size of a planet, we know that the Titans can also survive the destruction of their bodies — whatever those are made of. What’s our evidence? The Pantheon have done exactly this. Their essential natures, however diminished and weakened they were by Sargeras’ attack, continued to exist beyond the deaths of their bodies and are now within the Seat of the Pantheon, imprisoning Sargeras himself. So even though Sargeras and his Legion have destroyed countless worlds, they may not actually have slain the World Souls that were within any of them. Those entities may have survived and may now be traveling the universe, making their own decisions for whatever unfathomable ends we can’t possibly guess at. With the Legion in disarray and the Pantheon occupied, the Void and the Old Gods are effectively unchecked. There is no force in the cosmos preventing them from their agenda. There is only one thing standing in their way — the Void has been shown to be unable to find World Souls. The Void’s idea of how to corrupt creation was to literally throw as many Old Gods as it had into existence and hope one of them landed on a planet with a World Soul. This is a remarkably inefficient system, but it fits with the Void’s general idea that there are an uncountable number of true things at once — of course you can’t narrow it down to an actual location when you’re busy seeing all the potential World Souls that might have been. We’re left with several questions by all of this. Are there more World Souls out there, waiting to awaken? Are there actual Titans who have awoken and who are simply far removed from the Burning Legion and its crusade, either due to the infinite distances between worlds or through their own actions? A Titan standing guard over a world might well have simply annihilated any Legion forces that found it, preventing them from reporting back to Sargeras and thus bringing down the full might of the Legion, which would include the Fallen Titan himself. There could very well be an entire group of Titans utterly unrelated to the Pantheon out there, pursuing their own goals, who’ve simply never heard of Sargeras or the Legion or the Old Gods, entirely because of how large the Great Dark Beyond is. We don’t know. But we know there are worlds we’ve just barely seen and they had something the Legion wanted. 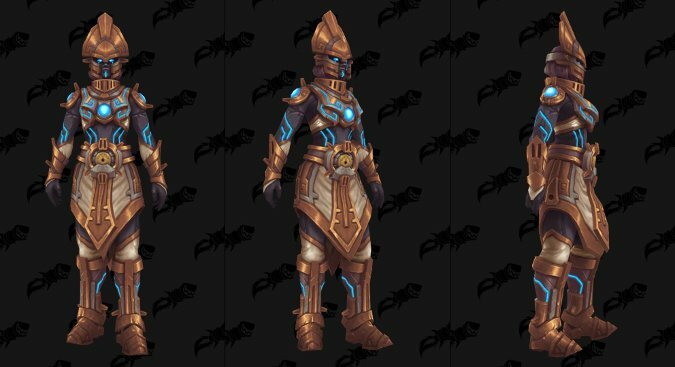 We know what Fel Titans and Void Titans would mean for the universe — but we have no idea what a Titan left to its own devices might do.